Please send me more information on Palmetto Bluff at, Bluffton Thank you. Only 3,000 homesites are set amidst Palmetto Bluff’s expansive 20,000 acres. From elegant Lowcountry river cottages to expansive 30-acre family retreats, Palmetto Bluff properties run the gamut in both size and price. The country properties emphasize privacy in stunning natural environments, many fronting river and marsh views. The town center, Wilson Village, is surrounded by a series of residential villages with smaller cottages where residents can walk or bike to the heart of the community, which includes an eclectic mix of shops and restaurants, historically significant landmarks, waterfront recreation in the expansive central park, and a chapel. Palmetto Bluff features a 24-hour guard gate. Non-members may access the village property for shopping and dining, and weddings are occasionally held at the chapel in the village. All residential properties, excluding the village, are off limits to non-members and are accessible behind additional separate gated entrances. From a design standpoint, the entire community pays homage to the rich architectural heritage of the Lowcountry with distinctive homes that are full of charm and ornate detailing. Ample windows, dormers, metal roofs, large porches (sometimes in front and back), and outdoor fireplaces characterize the friendly southern lifestyle. The Property Owners Association levies annual dues. A favorite destination for local residents and national celebrities alike, The Village at Palmetto Bluff boasts a boatyard, pool and fitness center, canoe and kayak club, golf club, Sports Campus including lawn games and tennis facility, quaint and charming shops, gourmet restaurants, historic ruins, the lavish Inn at Palmetto Bluff, a full service spa, and the stunning Waterside Chapel with breathtaking views of the May River. Upon completion, the Village living concept will include the neighborhood areas of Wilson Village and Boathouse Row, The Point, West Wilson, South Wilson, River Road and Wilson Hayfields and all will be within walking or biking distance to this town center. These large-parcel homesites are made up of the neighborhoods of Headwaters, Barge Landing, May River Forest, and Longfield Farms and comprise a collection of secluded compounds and homes set in e rich Carolina forests. Palmetto Bluff’s Longfield Stables provide 24‐hour equestrian care in a professionally maintained, staffed, farm setting for resort guests and residents. The facility includes a covered arena, outdoor dressage area, 5‐acre turf event field and a 24‐stall main barn. A modern Fitness Center with floor-to-ceiling windows and high-end cardio and strength-training equipment makes working out a pleasure. And a studio designed for spinning, yoga and Pilates classes is also available with certified instructors. A heated, horizon lap pool with breathtaking views of the May River is an inviting finish to a great workout or anytime. One of the jewels of Palmetto Bluff is its breathtakingly beautiful and challenging, 18-hole Jack Nicklaus Signature Course. Woven throughout the May River Forest are 7,171 yards, par 72, with several holes on the banks of the river. The May River Clubhouse anchors the Nicklaus course and includes, the May River Bar and Grill, an ideal spot for casual dining or a post-round meal, a full service pro shop, and a world-class practice facility. Rated as one of the top hotels in the country and boasting numerous national accolades, the Inn at Palmetto Bluff is a waterfront retreat. It includes 50 luxurious cottages and cottage suites, a one-of-a-kind spa, superb fine and casual dining, and an abundance of activities in a serene Lowcountry setting. The 9,500 square‐foot Spa at Palmetto Bluff, modeled after a gracious Southern‐style manor house, is located on a private island in a freshwater estuary with a wading bird rookery, and offers guests a residential feel. The Spa features eight treatment rooms, including a couple's room and a private Vichy steam room, each with its own veranda, soaking tub and breathtaking view. Treatments, include massage therapy, and skincare and body treatments. Palmetto Bluff is home to two croquet lawns at Wilson Lawn and Racquet Club, eight Har-Tru tennis courts, two bocce courts, four courtside shelters and a well-equipped pro shop and pavilion. Ancient pines and live oaks provide shade and ambiance, while two lighted, exhibition-size courts are home to plenty of action day and night. Clinics, lessons and tournaments complete the tennis experience. All residential neighborhoods and amenities of Palmetto Bluff conservation areas and nature preserves are linked through a series of historic roads, paths and an innovative network of walking trails. This intricate trail system allows residents and guests to reach their destinations by bicycle, foot, horseback, golf cart or automobile. Guided tours are available. The rich history of Palmetto Bluff dates all the way back to the Paleoindians in 10,000 BC and later, subsequent generations of Native Americans settled the property for its abundance of rich natural resources. In 1730 a British naval officer purchased a large contingent of land on the May River, including the Palmetto Bluff property, which would come to be comprised of several plantations during the antebellum era. In 1902 the property was purchased by a wealthy New York banker who developed the estate to include a grand mansion that later caught fire in 1926. In the late 1930’s, the Union Bag Company took notice of the property for its valuable timber. They purchased the property with the intent on establishing a comprehensive forestry program, but they were quickly impressed with the inherent beauty of the area, and created a conservation-based Land Use Plan to protect the environment. Company officials also took note of the plentiful wildlife and envisioned the property as a sportsman’s dream. The facility was set up for guided nature tours, and they also began hunting quail, ducks, turkeys, boar, and deer, as well as fishing in the river and freshwater ponds. A half a century later, Palmetto Bluff remains one of the Lowcountry’s great natural and historical treasures. How many active real estate properties are currently listed for sale in Palmetto Bluff , Bluffton? Currently there are 129 listed for sale. Are there any foreclosures currently for sale in Palmetto Bluff , Bluffton? No, currently there are no active listings in Palmetto Bluff with a foreclosure status. Are there any short sales currently for sale in Palmetto Bluff, Bluffton? No, currently there are no active listings in Palmetto Bluff with a short sales status. What is the price range and average price for residential homes in Palmetto Bluff ? The price range of the 48 listed homes for sale in Palmetto Bluff is between 525K and 5,995K. The average price is 1,651K. 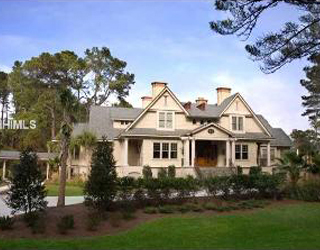 Click here to view all residential home listings in Palmetto Bluff. What is the price range and average price for residential land and lots in Palmetto Bluff ? The price range of the 81 listed land and lots for sale in Palmetto Bluff is between 172K and 2,200K. The average price is 610K. 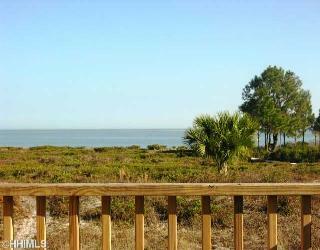 Click here to view all residential land and lots listings in Palmetto Bluff. What amenities a buyer should expect to find in Palmetto Bluff ? 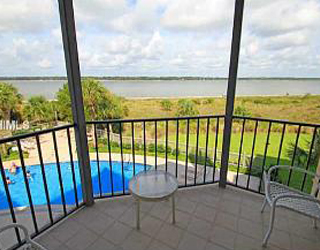 What kind of views a buyer should expect to find in Palmetto Bluff ? A private community, tucked away in the picturesque South Carolina Lowcountry along the banks of the May River, Palmetto Bluff measures an impressive 20,000 acres and offers nearly every recreational amenity imaginable; an 18-hole Jack Nicklaus Signature Golf Course, an extensive Sports Campus, an interior 32-mile freshwater river system, the lavish Inn at Palmetto Bluff - ranked the #2 Top U.S. Resort by the readers of Conde Nast - and a full service spa. Residents have the option of living in town - a postcard-perfect downtown village modeled after southern waterside communities – or in the country, where some estates measure more than 30-acres. Approximately one-third of Palmetto Bluff property has been protected by covenants and restrictions including a 6,500-acre Managed Forest and an additional 734 acres in conservation easements. A nationally recognized community with a focus on conservation and sustainability, Palmetto Bluff provides residents and visitors an experience where recreation, history and nature are a way of life.